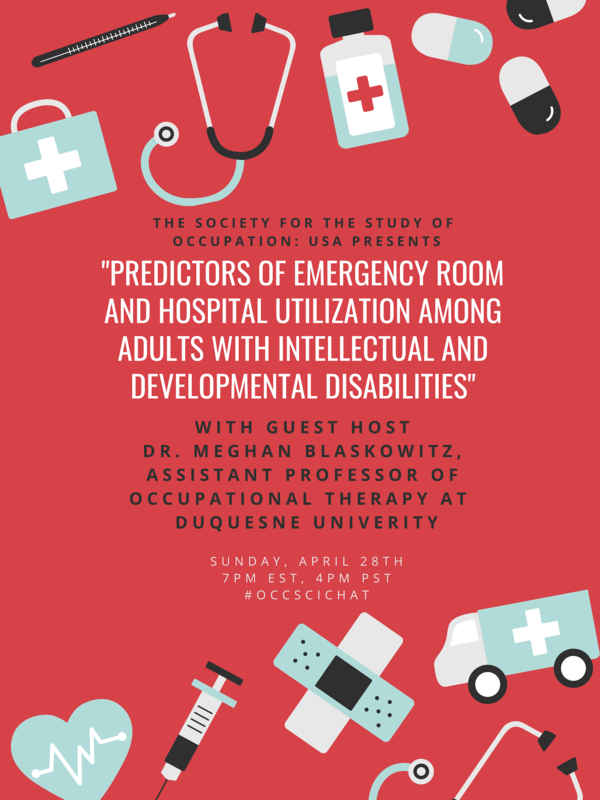 and members who are formally trained in other disciplines and whose work integrates well with occupational science. Every year the members of SSO:USA look forward to the annual conference. This year's conference will be held in Scottsdale, Arizona. Abstract submission is now closed. More conference info to come! 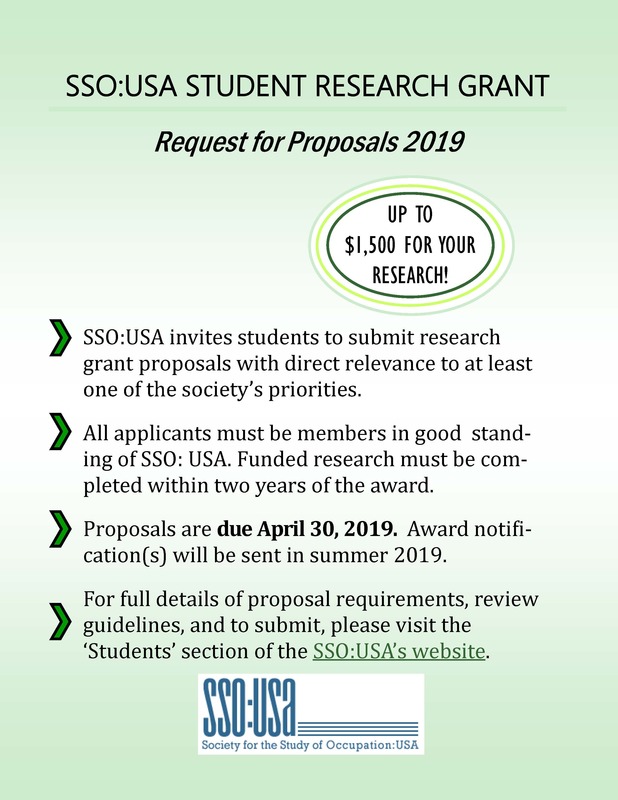 Applications for the 2019 SSO:USA Student Research Grant in Occupational Science are now being accepted. The deadline is April 30th, 2019 (11:59pm PST). See the Student Research Grant page on this website for more information and to submit your grant application.